The bricoleur, says Levi-Strauss, is someone who uses ‘the means at hand,’ that is, the instruments he finds at his disposition around him, those which are already there, which had not been especially conceived with an eye to the operation for which they are to be used and to which one tries by trial and error to adapt them, not hesitating to change them whenever it appears necessary, or to try several of them at once, even if their form and their origin are heterogenous and so forth. There is therefor a critique of language in the form of bricolage, and it has even been said that bricolage is critical language itself. 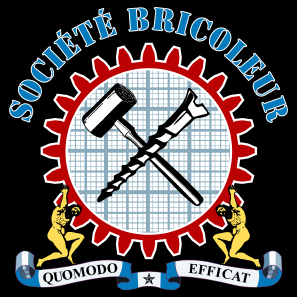 If one calls bricolage the necessity of borrowing one’s concepts from the text of a heritage which is more or less coherent or ruined, it must be said that every discourse is bricoleur.